Football Dads are everywhere … and not just in football. They’re the parent who volunteers to help with their kids’ sports team – or who are left with the job when other parents go missing. 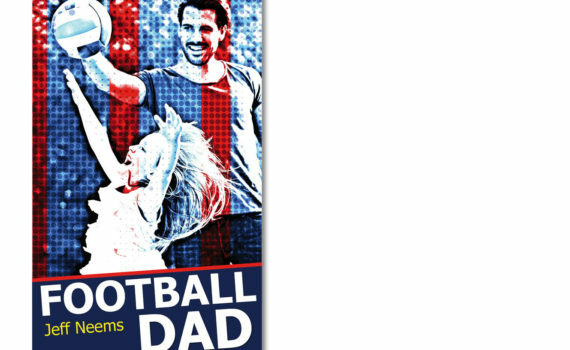 This well-crafted volume of amusing columns comes from a father who has spent many hours travelling to and from games, tirelessly helping his kids as they take up The Beautiful Game. Through Football Dad you’ll meet the oddballs he meets on the sidelines and in the clubrooms. Many a parent will recognise these characters … and smile. Football Dad’s collection of stories were originally published in the award-winning football magazine The Range, published by WaiBOP Football in New Zealand. They have also appeared in FANZ, the official magazine of Friends of Football. Jeff Neems is a football-loving dad who lives in the Waikato, New Zealand, where he has worked as a journalist and communications manager.